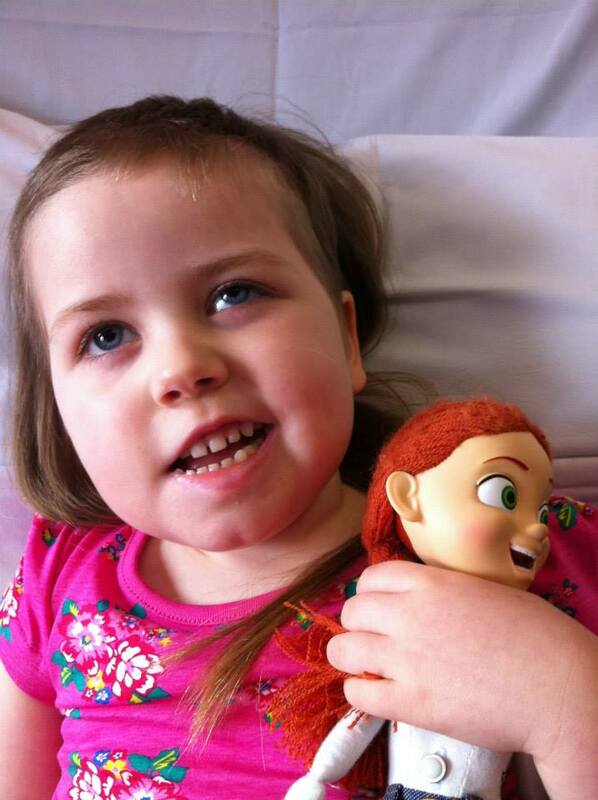 In March 2013, Rosie suffered a brain haemorrhage and was left brain damaged. In August 2013 a tumour was found in Rosie's brain and she was diagnosed with Glioblastoma Multiforme Grade 4. Rosie currently shares a bedroom with her 7 year old sister Leila, with Rosie sleeping on the lower bed of a bunk. Rosie needs to have a bed that has an adjustable height but there is not enough room for one in the bedroom that she shares with her sister. Ideally the girls need rooms of their own so that when Rosie's condition worsens she can be more comfortable and have space for the equipment she needs. Leila also needs a space of her own as watching her sister seriously ill is heartbreaking for her. In order for this to happen they will need to expand their two bedroom house by having a small and compact loft conversion. The Patrick Evans Foundtion is appealing to the public to help the Staunton family, and help provide a Room 4 Rosie. To find out more about the amazing fundraising events the inspirational Staunton family are organising or to see how you can take an active role in this project please visit the Rosie Staunton facebook <a href="https://www.facebook.com/RosieStaunton4?ref=ts&fref=ts" _cke_saved_href="https://www.facebook.com/RosieStaunton4?ref=ts&fref=ts" "="">page.